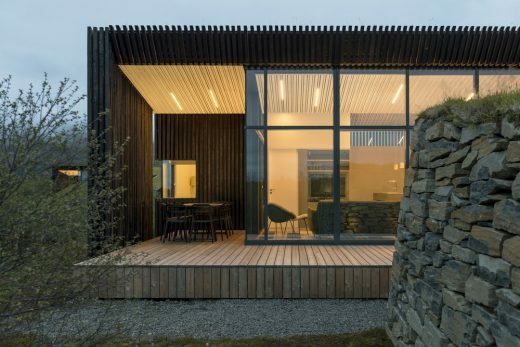 In Winter 2012 the studio was invited to take part in a competition for vacation rental cottages. 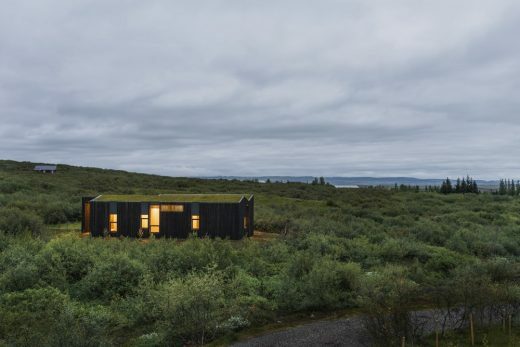 The 20 cabins were to be located in Brekkuskógur, in the South West of Iceland. 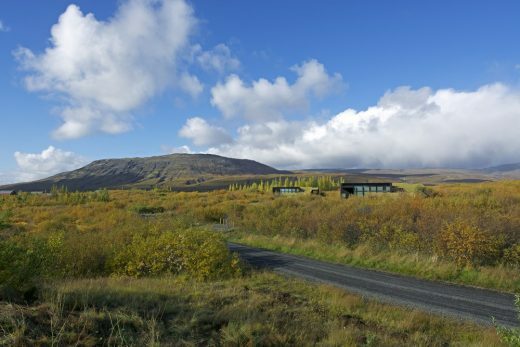 The area features picturesque surroundings with uninterrupted views from each cottage to the nearby lake, Laugarvatn. 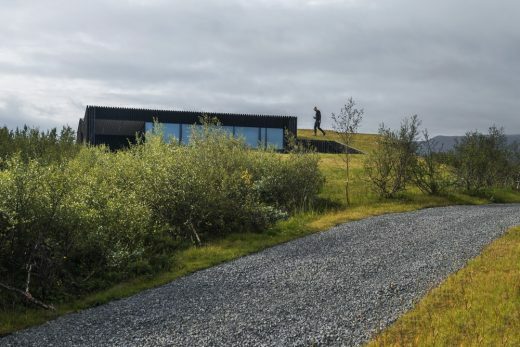 The main focus of the design is to created a semirural architecture that blends in with the landscape and the surrounding mountains. 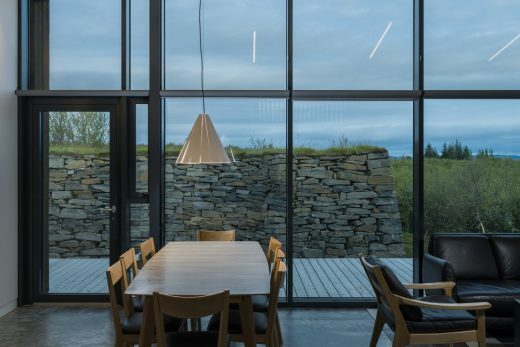 Leftover earth from the excavation is used to form a wind-protecting bunker for the outdoor terraces and help fuse the roofscapes of the cabins with the surrounding sloping landscape. 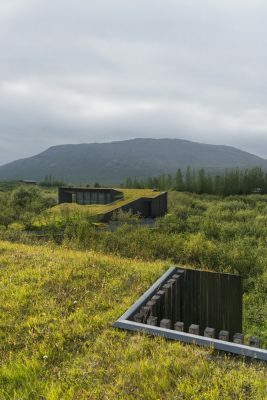 Vegetation from the excavated footprint of each building is preserved throughout the building process and reinstalled on the roofs, when completed. The architectural concept is based on a simple and efficient plan solution, which limits circulation space and minimizes complex detailing. 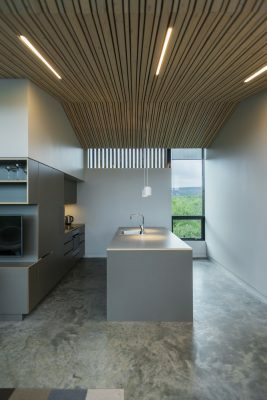 By doing so, material quality can be increased thus minimizing costly need for maintenance. 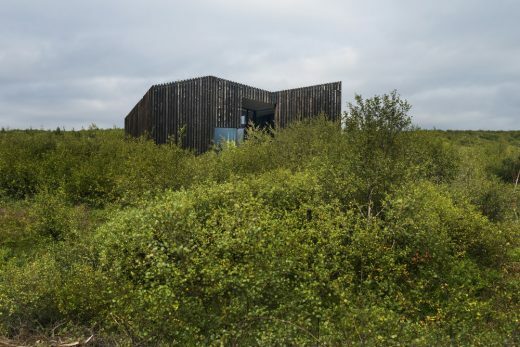 The building is a wooden construction resting on a concrete base. 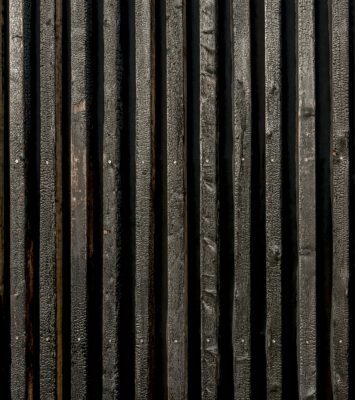 The exterior is clad with burnt hardwood paneling, utilizing a method well known in Japan, among other countries, to enhance the durability of the wood. 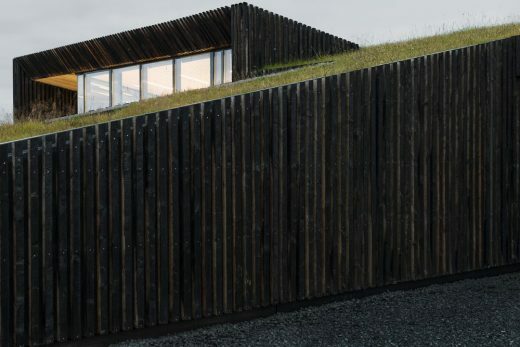 The roof is a grass layer fused together with the surrounding slope, a traditional method used in the old vernacular turf houses in Iceland.